Last month, I had the bittersweet experience of completing my Capstone at the Jack Welch Management Institute (JWMI). 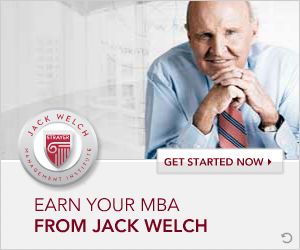 I recall signing up for the Jack Welch MBA program having a pretty good feeling I just made a career-trajectory changing decision. 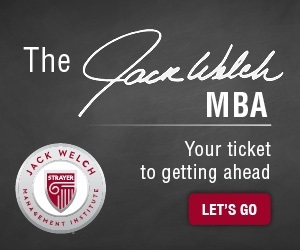 I looked forward to growing myself as a leader, learning from the Manager of the Century—Jack Welch in addition to faculty and staff that truly understand the challenges of today’s working professional seeking to develop themselves amidst a sea of priorities and obligations. From a growth perspective, this was by far the best career investment. The concern of a heavy time commitment was met with the flexibility to complete tasks on my schedule (often before sunrise by choice) and wherever I happened to be in the world (usually 30,000 feet in the air). I appreciate how the JWMI professors challenged me on a daily basis to identify opportunities and apply the content to improve the companies and organizations I served. A personal highlight was sharing this experience directly with Jack Welch last month and asking him “What’s the one thing you want every graduate to leave JWMI with?” I wrote down a one-word response just in case he flipped the question to me. I don’t think it’s a coincidence that we both recognized confidence as the key takeaway. Confidence to work through difficult situations. Confidence to rise to the occasion. Confidence to be a difference maker wherever you are in your life, career, or community. If you’re considering an online MBA program, I recommend taking a close look at this Top 20 Online MBA program, according to Princeton Review (three years running) and Poets & Quants. It’s a program designed with the working professional in mind. We’re all busy; if you can prioritize and sacrifice (i.e., cut down on Netflix, Facebook, and IG), you can get it done. It’s a program rooted in application, not theory. You will actually see why the program touts that you “Learn it on Monday. Apply it on Tuesday.” from day one. It’s a program that’s more than just a name. Seeing and hearing about Jack Welch’s involvement in every facet is proof that his leadership principles will endure even as our respective industries continue to evolve. My only regret is not making the decision sooner. 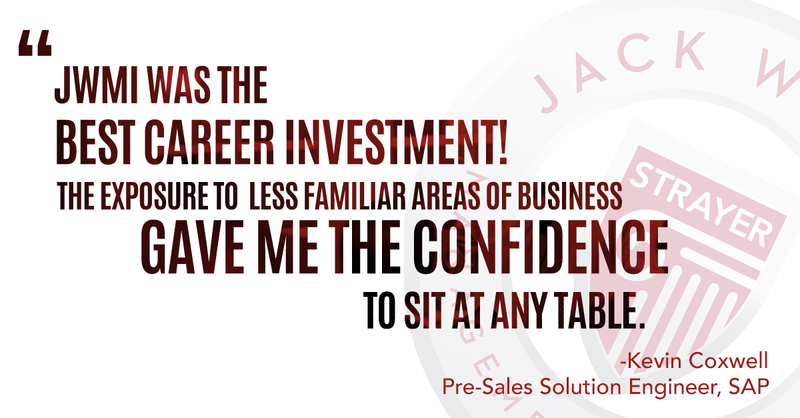 The exposure into less familiar areas of business operations and building upon my core competencies of sales and marketing has given me the confidence to sit at any table and actively engage in the discussion to further my company and the companies we serve. While I was excited to finish the program, I am more excited about how this experience is helping fuel my future endeavors.